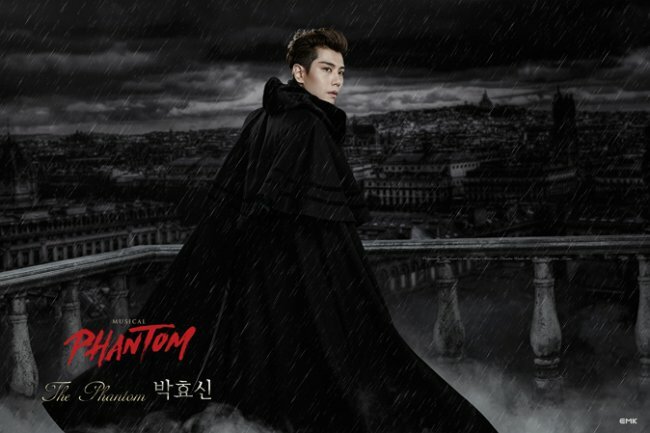 A Seoul-based EMK Musical Company production, the American musical “Phantom” will premiere in Korea on April 28, with Park sharing the lead role with veteran musical actor Ryu Jung-han and pop-opera singer and musical actor KAI. Park became one of the most sought-after stars in the local musical scene after his role as the legendary composer in the Austrian musical “Mozart” last year bolstered ticket sales and helped make it the highest-grossing show of the year. Like the Webber show, its plot revolves around the Phantom, who lurks in the shadows and manipulates, desires and finally kidnaps a talented young soprano, Christine Daae. The Korean rendition, directed by Robert Johanson, will be unveiled at Chungmu Art Hall. The casting for the female lead has not yet been announced.